Like everything in the tech world, web design is constantly evolving. 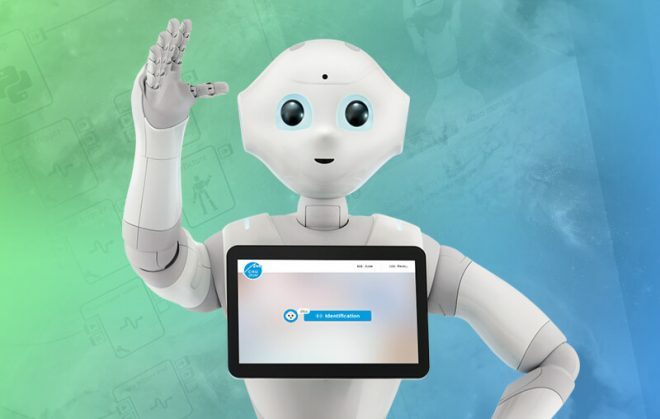 But unlike a lot of new gadgets and programs, there are some web trends that you can expect to stick around. Americans spend about 60% of their digital time on a mobile device, so it’s no surprise that Internet users have come to expect websites to fit their smaller screens. Knowing that users prefer a responsive design, Google has even started listing mobile-friendly websites first in its search results on tablets and smartphones. No matter the purpose of your website, creating a mobile-friendly version is becoming essential to attracting and retaining users. 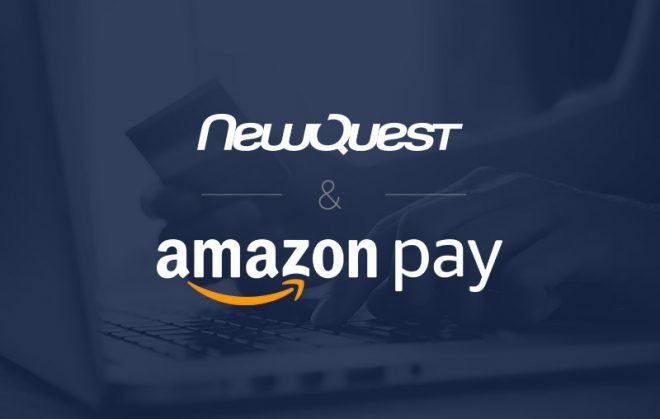 Example: NewQuest uses Shoperize to create customized mobile versions of eCommerce websites, including those for Venture Heat and Chlorella Echlorial. With the rise of mobile-friendly websites comes the growing popularity of infinite scrolling on website pages. 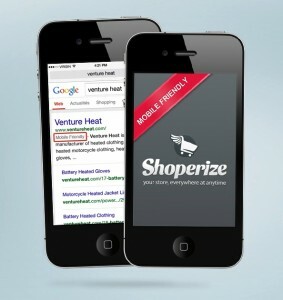 Especially for mobile users, scrolling is easier than clicking, so this feature can improve the users’ experience. Infinite scrolling also decreases your site’s loading time since content is able to load bit by bit. 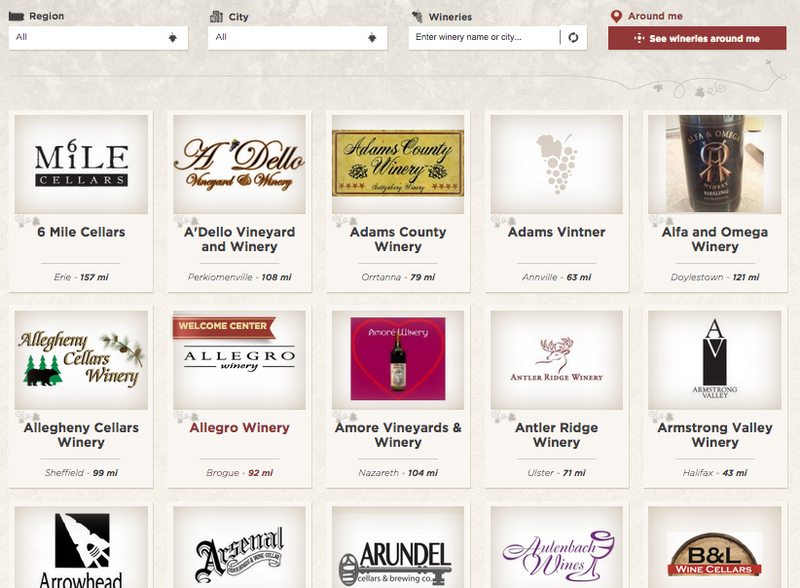 Example: Pennsylvania Wines features infinite scrolling in its list of more than 200 Pennsylvania wineries. Single-page websites simplify a site’s overall design by condensing all its content in one, easily navigated page. This kind of layout is particularly useful because it displays well on a mobile device. With static menu bars and dynamic animations, single-page websites can also contribute to a fun UX design. 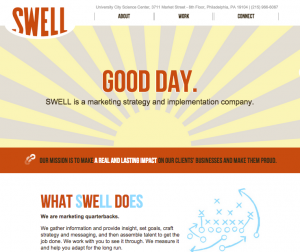 Example: In creating a new website for the marketing agency SWELL, NewQuest used a sleek single-page layout to provide an interactive user experience. Custom professional-quality photographs can communicate your site’s personality and purpose, and when large in size, they demand attention as soon as users reach the homepage. Since a picture is worth a thousand words, impactful images have the potential to tell users everything they need to know about your site in one eloquent photo. 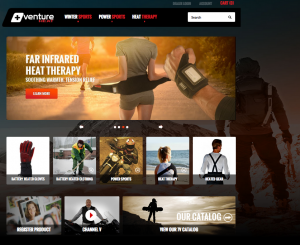 Example: The homepage of Venture Heat’s website not only features a slideshow of powerful images, but even the background is dominated by a bold photo of an adventurer in the mountains. 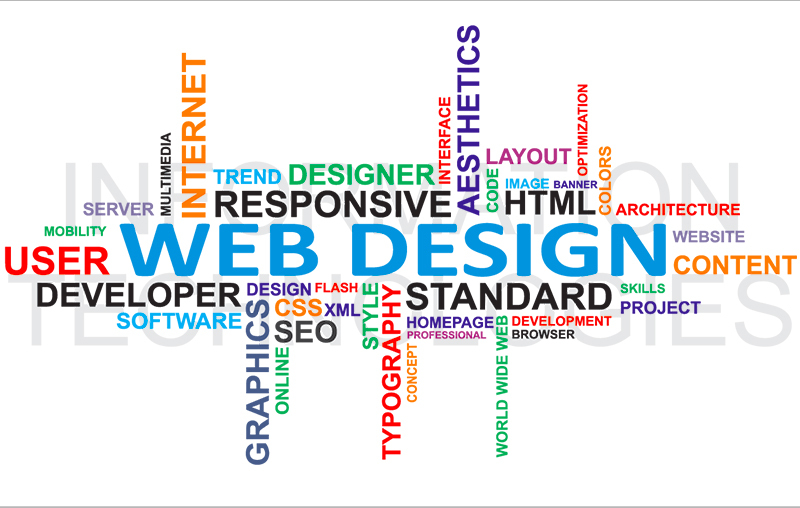 To tie all this together, website design has become simpler on the whole, particularly in terms of page layouts. High-quality images, minimal text, and easy-to-navigate menu options help users browse a website quickly and easily. Plus, simple layouts help eliminate superfluous features, which leaves the focus directly on your website’s key messages. 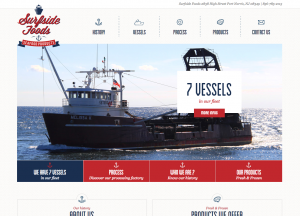 Example: Surfside Foods uses graphic icons, unique typography, and large images to simplify its layout and present a clean overall design. 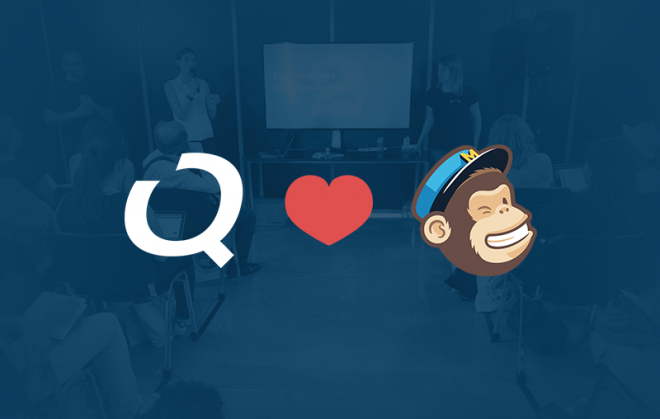 There is no formula for crafting the perfect website. But if you follow these five trends, we think you’ll see how much of a difference the right web design can make.